Gallery featuring stunning black and white landscape and architectural photographs from Calgary and around Alberta. * Watermark will not appear on digital downloads or prints. 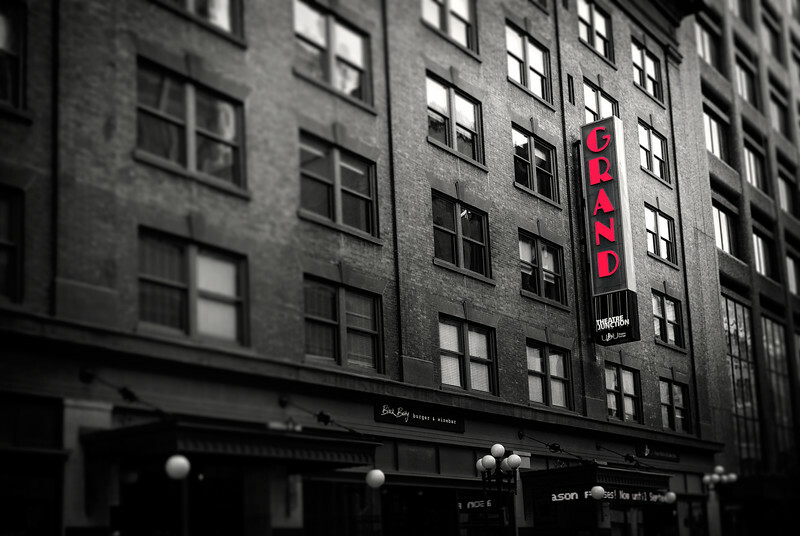 A black and white photo of the Grand Theatre in downtown Calgary with a red neon sign.